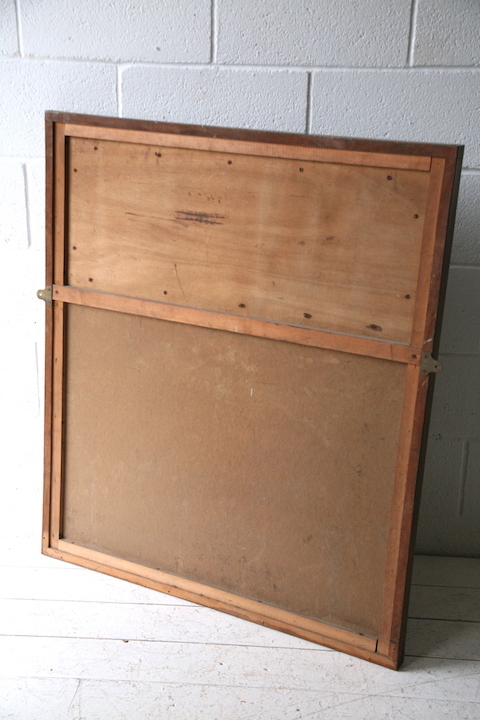 A large vintage wooden notice board. 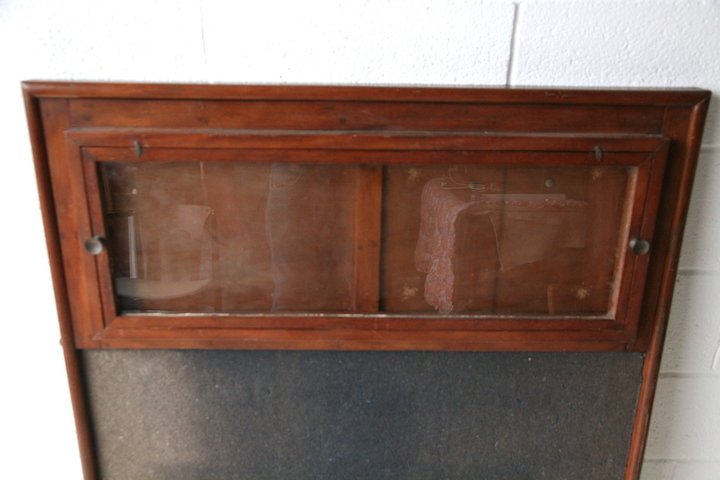 With glass fronted display cabinet at the top. In good vintage condition with some age related wear. 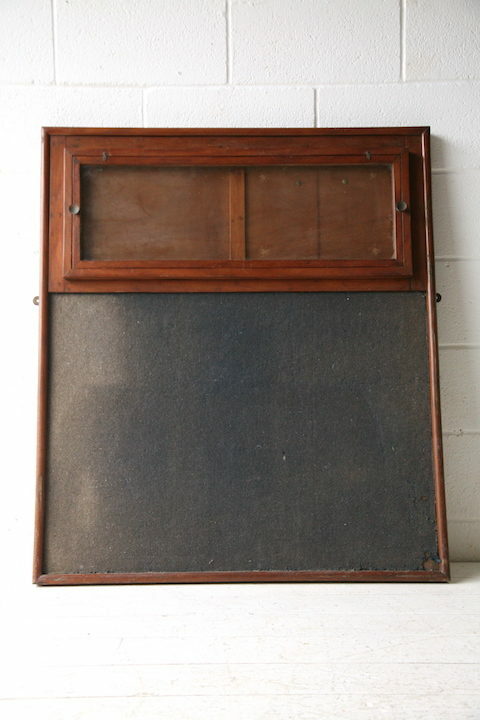 The original cloth has some fading and is worn in the corners.